Relax on the large decks and marvel at the view. Expansive sea and rural views looking East. 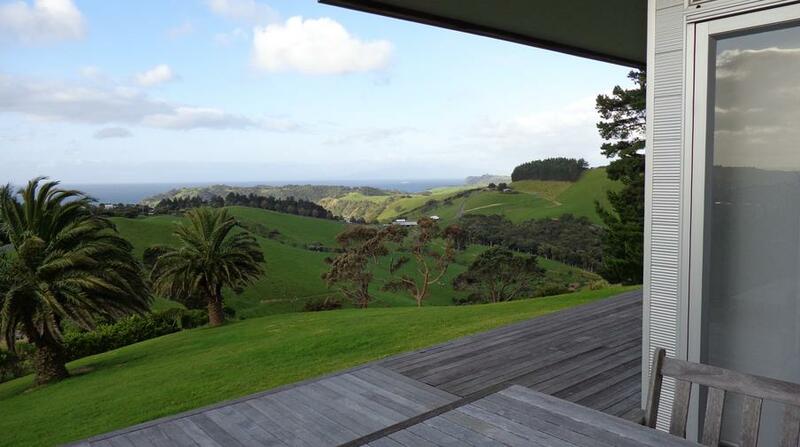 Huge water and rural views over a heavenly slice of Waiheke Island New Zealand, set in privacy with sunrise to sunsets. 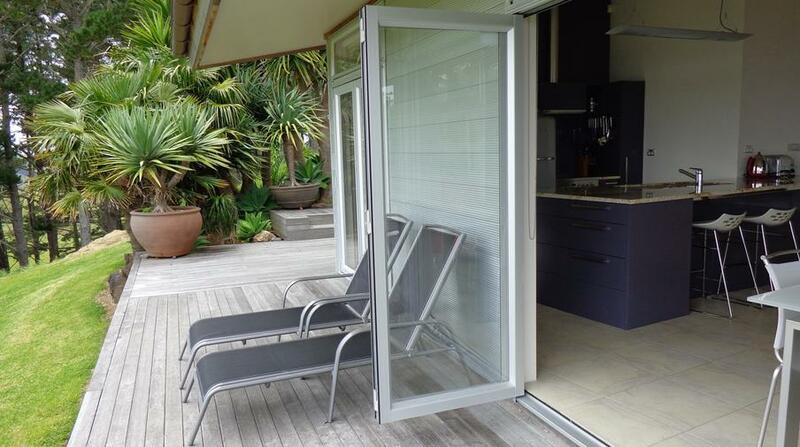 The perfect Waiheke accommodations to treat yourself at. 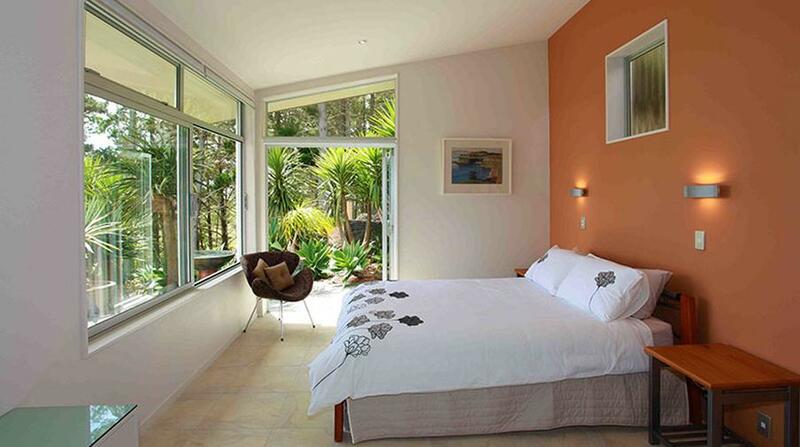 Superior to holiday apartments and hotels in Auckland. 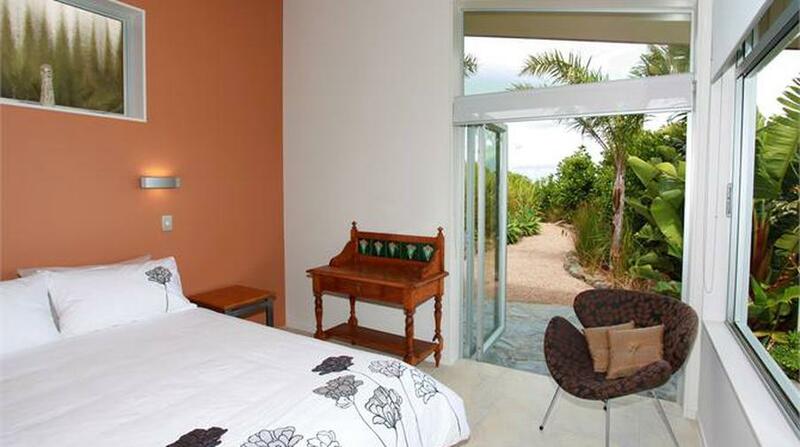 Accommodation on Waiheke Island in an Amazing purpose-built superior visitor accommodation house. An immaculate home for 1-2 couples or a mature family. 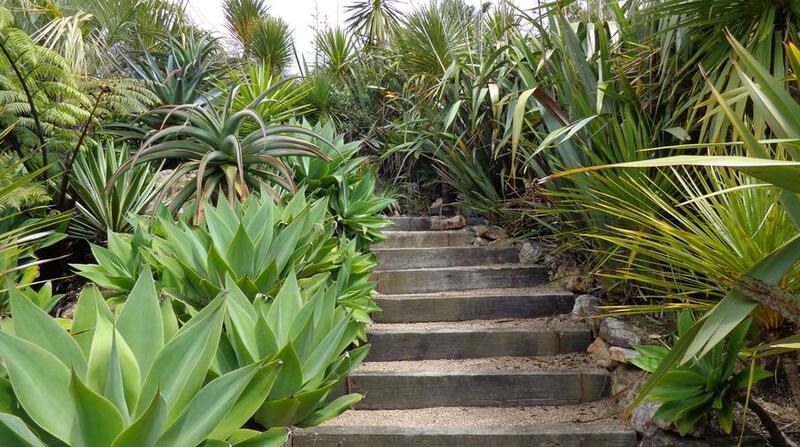 Stunning views, great Sun, and beautiful landscaping. Professionally managed to ensure a quality experience is had. 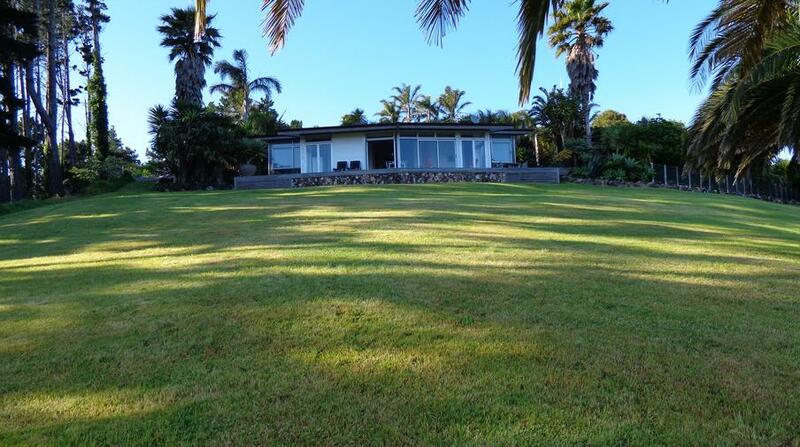 Quiet, slightly rural but walkable or a quick drive to the awesome Onetangi Beach. Outstanding views. Gorgeous architecturally designed home with everything you could need and more! Exceptionally friendly hosts. Wonderful experience. Will be back!! A stunning home in an absolutely beautiful location. Perfect for two couples. This stay really was the trifecta -- magnificent hosts, fantastic modern home that was exceedingly well designed, and views that make it hard to leave the property. 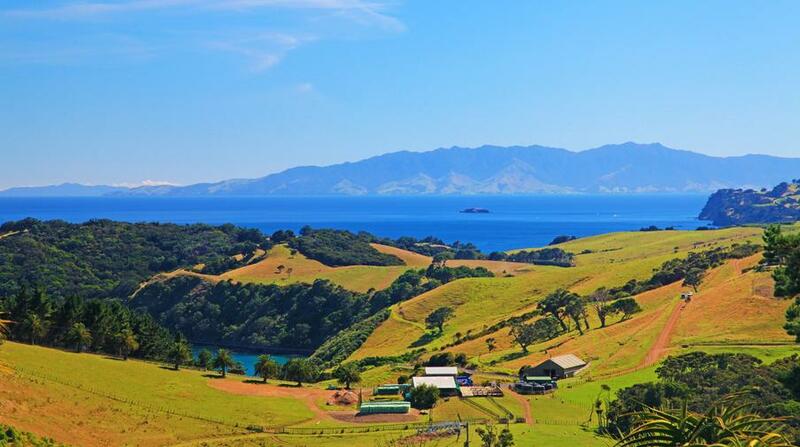 We travel to Waiheke every year, and we're thinking that this will be our new base of operations. Well, it's now April 2015 and we have just completed our annual 3 months stay at The Nikau - we have stayed here for 7 years because we found nothing with such comfortable and relaxing accommodation and views. We have visited Waiheke a total of 10 times since 2004.... why? … our daughter and family live on the island. 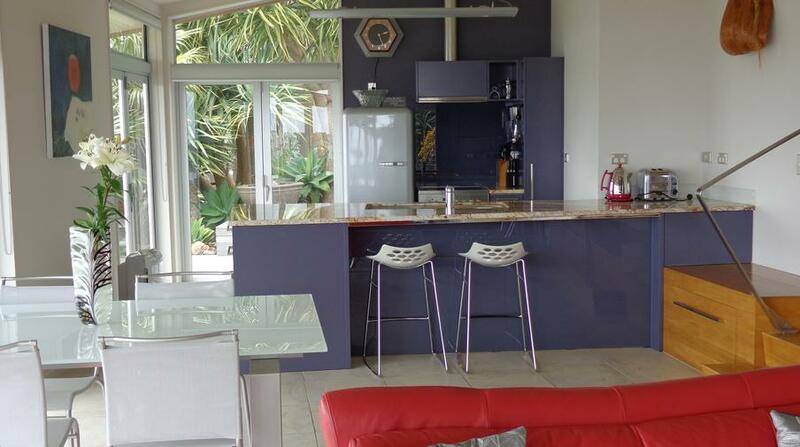 This is a superb well-appointed holiday home (it’s not an apartment it is a stand-alone architect-designed beautiful glass-walled heaven) with its STUNNING VIEWS that stretch from Rangitoto Island and the North Shore mainland in the west to the Coromandel Peninsula, Great Barrier Island and (almost) South America to the east. 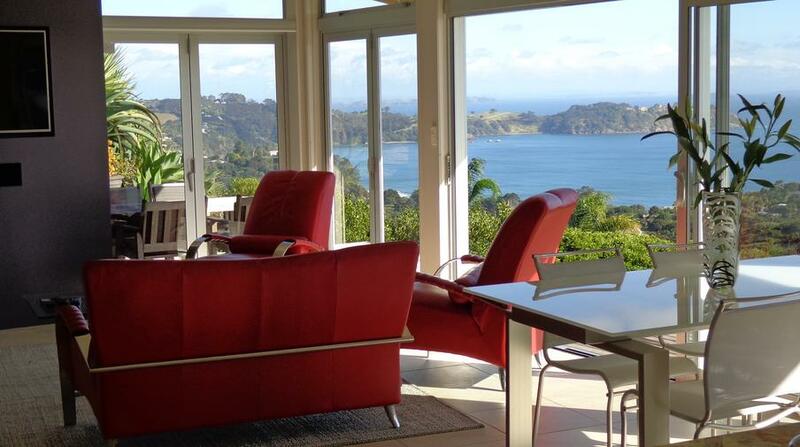 There is no wider view from any other rental property on Waiheke ...... I have enjoyed watching cruise liners and large merchant ships crossing the ocean to and from Auckland.. and, with the occasional glass of wine in my hand. The hospitality of Gus and Sue is very positive without being intrusive, lovely owners. You may wonder why I am writing so much about a place that we have loved staying at so many times….. thus taking the risk of somebody else booking it. Well, in future we will not be block-booking Nikau Apartment Two for 3 months each summer (Kiwi summer) but instead we will be staying at our daughter’s place on the headland at the other end of beautiful Onetangi Beach where a large and well-appointed self-contained annex is nearing completion. SO BE QUICK and you could be staying in Nikau Apartment Two next summer… just remember it is not a simple apartment, it is a super holiday home with no immediate neighbours. I wish you hours of enjoyment on Waiheke.